City Football Group: Which Clubs Around the World Are Now Owned by Manchester City? Manchester City are not a football club in isolation, they are part of the expanding City Football Group that now fully owns or has stakes in as many as seven clubs in seven different countries on five continents - Europe, North America, South America, Asia and Oceania. The portfolio is expected to grow in the future as City chiefs look for even more opportunities. Here's a look at all seven clubs that make up the City Football Group so far. Manchester City are obviously the crown jewel in Sheikh Mansour's collection, with his original Abu Dhabi United Group - the precursor to the City Football Group - securing the purchase from former Thailand prime minister Thaksin Shinawatra in the summer of 2008. Cash was ploughed into City, both on and off the field, from the word go. What has followed is three Premier League titles, several of the best players in the world, top class training and academy facilities and one of Europe's most prominent women's teams. The first foreign club to come under the City Football Group banner was the newly formed New York City FC in 2013, becoming the 20th Major League Soccer franchise. The new team, wearing the unmistakable sky blue of its Manchester sister club, debuted in MLS in 2015, featuring star players like David Villa, Andrea Pirlo and eventually Frank Lampard. Movement between Manchester and the Big Apple has been close, with playing contracts transferred between the two and Patrick Vieira moving from his reserve team post at City to take over as head coach in New York in 2016 until 2018. NYC are yet to claim any silverware but have reached the MLS playoffs for the last three years. The City Football Group expanded to include a third club in early 2014 when news broke that Australian club Melbourne Heart had been the subject of a takeover. It was initially a deal for an 80% stake, but CFG later bought out the remaining 20% in 2015. Melbourne Heart were fully rebranded ahead of the 2014/15 A-League season and given a new name, new badge and new colours - sky blue, of course. As with NYC, ties between Manchester and Melbourne have been tight and players have transferred between the two clubs, notably Australian international Aaron Mooy. Luke Brattan was bought by City from Brisbane Roar in 2015 and has been on loan at Melbourne since 2016. Melbourne won the FFA Cup in 2016 and haven't missed the A-League playoffs since the rebrand. City Football Group moved into Japan in May 2014 when a deal was struck to acquire a 20% stake of J-League side Yokohama F. Marinos, owned by car manufacturer Nissan. At that time, Nissan also came on board in Manchester as a major partner and sponsor. 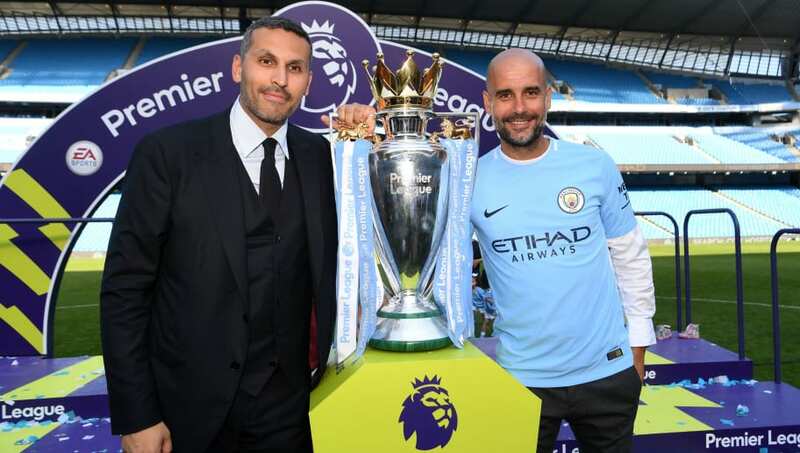 It was explained by chief executive Ferran Soriano at the time of the announcement that City would be offering a "collaborative and integrated approach to the football, marketing, media and commercial development of all the clubs in the City family." That meant training and coaching methods as well as medical practices would be shared. Yet in four full seasons since the deal Yokohama have yet to really improve, finishing seventh or lower three times in the 18-team division, and as low as 12th in 2018. City Football Group took in its first South American club in 2017 with the outright acquisition of then second tier Uruguayan club Club Atletico Torque. City noted an intention to "invest in Uruguayan football, not only in terms of infrastructure at the club, but also in coaching, executive leadership, youth academy and the senior playing squad." Soriano spoke of the creation of an 'administrative hub' in South America to bring together existing scouting operations as part of the plan to identify and develop local talent. At the same time as the CA Torque takeover, CFG also entered into a collaboration with top flight Venezuelan club Atletico Venezuela, intended to share scouting resources and methods. City Football Group stayed a little closer to home with their next venture, making Girona the first European club outside England to part of the growing family when a 44.3% stake was bought in the Catalan side in the summer of 2017. Another 44.3% stake was taken over by the Girona Football Group, led by Pere Guardiola, brother and agent of City coach Pep. The deal was completed as Girona began their first ever season in La Liga, and players had already been sent on loan from Manchester - Pablo Maffeo and Aleix Garcia. Questions have been raised over a possible conflict of interest for CFG, especially should Girona improve to the point where they qualify for Europe as UEFA rules outlaw clubs with the same ownership both playing in European competitions in the same season. | Manchester City and the City Football Group have signed have signed a ten-year, £650million kit deal with Puma. February 2019 saw the addition of a seventh member to the City Football Group portfolio when a deal was completed to acquire third tier Chinese club Sichuan Jiuniu, furthering ties with the country after two Chinese companies invested a total of $400m for a 13% stake in CFG in 2015. When the purchase was announced, Ferran Soriano described China as an "extremely important football market, which we have been focused on for some time", adding that the move into the world's most populous country was an "extension of our existing activities." CFG will be looking to develop Chinese talent and improve the fortunes of Sichuan Jiuniu. Further down the line, the likely aim is a place in the Chinese Super League, while it is possible that player transfers between Manchester and China, as is the case with New York and Melbourne, may take place in the future.